Firstly can we say a huge CONGRATULATIONS? Planning a wedding is one of the most exciting and exhausting things ever, so we hope to make things a little easier for you, even if you are planning the wedding yourself. The AC has created some of the most beautiful wedding parties, handling every aspect from the invitations, food and staff, to fun and luxurious travel and hotels for over 30 years! What goes on behind the scenes of a fantastic wedding may seem unfathomable, but it goes without saying that we love sharing our ideas to make the event bespoke and exactly what our clients had in mind! Hire a wedding professional (This is where we come in!) It saves money, time and tears. We organise everything from ‘Save the day’ to the last song, plus a whole host of things you didn’t even think about. Communication is key. Let people know what you want and how you want it. Listen to the expert’s advice. As in any walk of life, an expert usually knows best. Pick the right person to help shop for your wedding outfit. Someone who is honest, yet diplomatic! Don’t be too swayed by their opinion – you have to love what you choose. Limit the groom’s tasks to one or two. Strangely music and drinks usually are suitable topics here! Try not to be too upset if his enthusiasm wanes over the shade of linen or flowers. Most importantly enjoy the process. It should be almost as much fun as the day itself, but don’t loose sight of the fact that this day will be memorable and joyous, it’s the start of your life together, not the be all and end all. For more beautiful imagery and ideas, visit our website dedicated exclusively to weddings http://ac-weddings.co.uk/ or sneak a peak at Instagram for many more beautiful parties created by our designers. deWintons, our boutique caterer and event planning company also do amazing weddings in London venues and in marquees around the UK. dW weddings benefit from The AC’s London chefs, kitchens and waiting staff and their wedding planners are experts in designing a slightly more informal style than The AC. Currently there is a trend for country style, relaxed weddings; take a look at one of our relaxed country weddings that took place in July 2015. The marquee was simple, yet elegant, the flowers were selected from a local charity grower and helped to create the country feel and the Bride and Groom and their guests had the best time. This style of wedding only ‘appears’ relaxed. It’s often harder to plan, as all the hard work can’t be seen. Remember, nothing ever ‘just happens’. Engage a dW wedding planner to make sure everything runs smoothly from initial planning to the last dance. 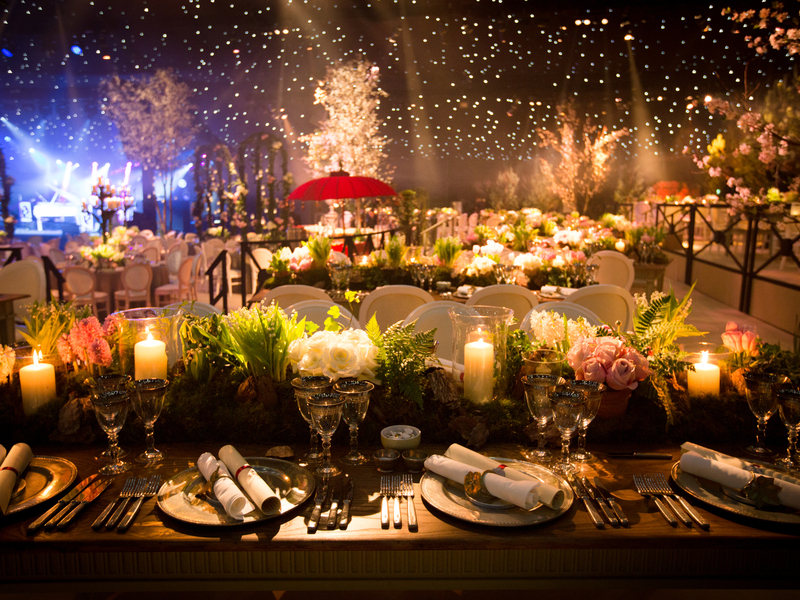 Let the wedding planner suggest the best suppliers for this style of event. They know how to achieve the relaxed style best of all. The emphasis is usually on fun, so list your favourite fun things to do and get your planner to incorporate them into your day. There’s no need to compromise on perfection, casual weddings can still be beautifully designed and executed without being overly fussy.